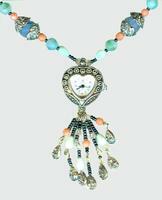 This romantic beaded watch jewelry set is reminiscent of a clandestine Paris rendezvous. 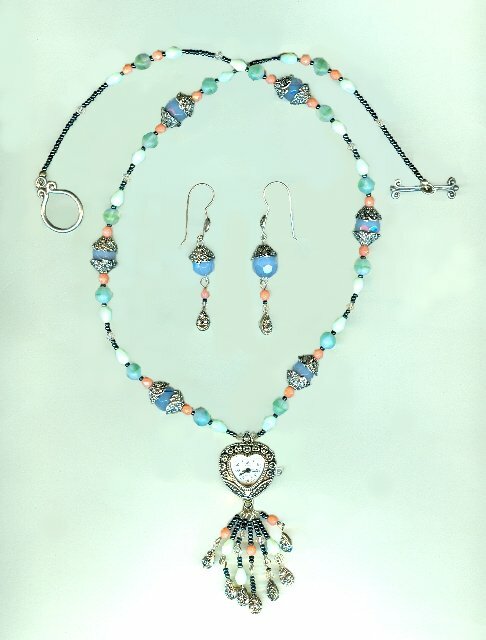 The jewelry set begins with an unique 24-1/2" necklace featuring a heart shaped wind-up watch that can be worn over clothing or tucked safely between your bosoms. The water resistant, quartz Swiss movement watch sparkles with faux marcasite and is backed with stainless steel. 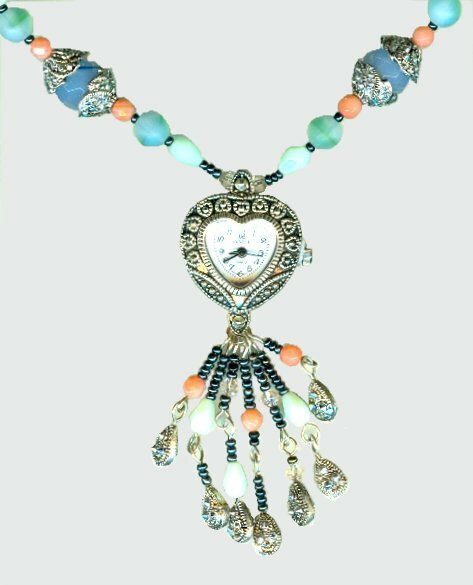 The watch has a tassel of glass beading and Swiss marcasite tears that adds to its flirtatiousness. Watch and tassel drop about 75mm (a hair less than 3") below the strand. The necklace is made of faceted coral beads, sherbet green and periwinkle blue glass beads, and hematite gray glass seed beads. The findings, drops, and bead caps sparkle with Swiss marcasite. The necklace wraps up nicely with an ornate pewter toggle. 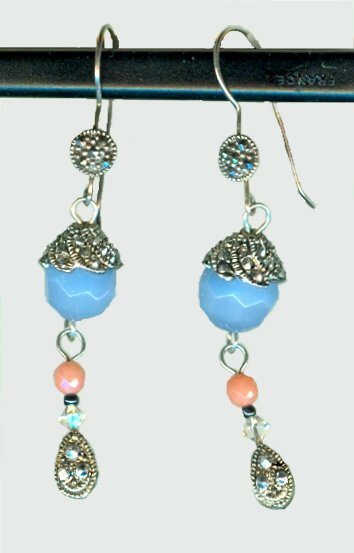 The earrings that complete the jewelry set dangle 2-1/2" from French sterling silver hooks, perfectly matching the necklace?s glass and coral beads, and Swiss marcasite findings. So go ahead and whisper in his ear, ?Kiss me under the Eiffel Tower at midnight, my dear.? 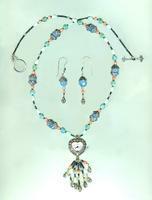 We?re hopeless romantics, here at SPARKLE PLENTY, as this jewelry set attests.